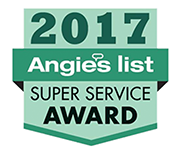 Softwash Ranger has been awarded the ability to participate in SoftWash Systems™ 5-Year warranty program on roof cleanings. SoftWash Systems™ roof cleaning chemicals have been tested in a major roof manufacturer laboratory and has been in use for 24 years. SoftWash Systems™ equipment and chemicals have been used nationwide and are responsible for softwashing in excess of 70,000 roofs. 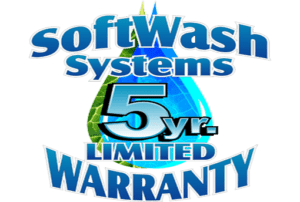 SoftWash Systems™ 5 year warranty includes protection against the chemicals, equipment, or employees damaging the roofing surface, and in 24 years of use, there has never been a claim made against damages to roofing surfaces. 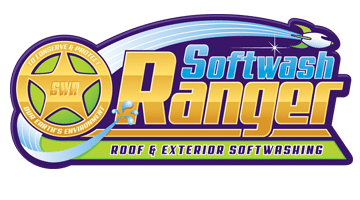 Softwash Ranger offers a 5 year warranty on roof cleanings. Our employees also must go through strict third party training and education, with both classroom and hands on training, on a yearly basis to remain certified. We also maintain full licenses, workman’s comp and general liability insurance. This way we make sure you are always receiving the very best experienced technicians possible. We make it a point to treat every customers property as if it was our own. We love what we do, and our magic is seeing the smile it brings to our customers’ faces! The Softwash Systems™ contractor will provide the necessary service to maintain a spot-free absence of dark molds and mildews from the clients roof for a period of 12 months from the original date of cleaning. For years 2 through 5, the Softwash Systems™ contractor will treat whole or in part any areas of recurring dark molds or mildews with the contractor paying for the first 50% of the original quoted price, before discounts. 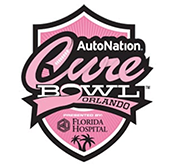 An entire retreatment will be prorated against the original quoted price of the roof cleaning from the original date of cleaning. Smaller areas of staining, less than 25% of the total area of the roof, will be prorated from the current hourly charge for service. The Softwash Systems™ contractor also reserves the right to discontinue any and all courtesy treatments. This warranty covers shingle, concrete tile, clay tile, slate, asbestos and composite roofs that are of the proper pitch with no water pooling on the roofs surface. Softwash Systems™ roof cleaning process is safe for your roof. If There is any damage to your roof by our personnel, or our process or the chemicals in our process, the Softwash Systems™ contractor will repair or replace your roof at its option. Finally, if the reoccurrence of dark molds and mildews during the Softwash Systems™ s 5-year spot-free limited warranty period cause proven damage to the customer’s roof, the Softwash Systems™ contractor will repair or replace your roof at their option. This warranty does not cover new or replacement roofing not originally treated by the Softwash System™, areas under or around roof-mounted apparatus or Acts of God determined by local area. It is the customer’s responsibility to keep the roof free of debris, as well as tree limbs trimmed away at least eight feet from the roof surface. Green Mustard Algae is not covered for retreatment. This spot-free limited warranty is transferable to the new owner of the property. If you are looking for warranty information for a North New Jersey Power washing company then please call 844-438-7638 or complete our online request form.